Comcast's 1TB data cap starts rolling out across the U.S.
Comcast said it would happen, and now it has. Consider your home bandwidth capped. 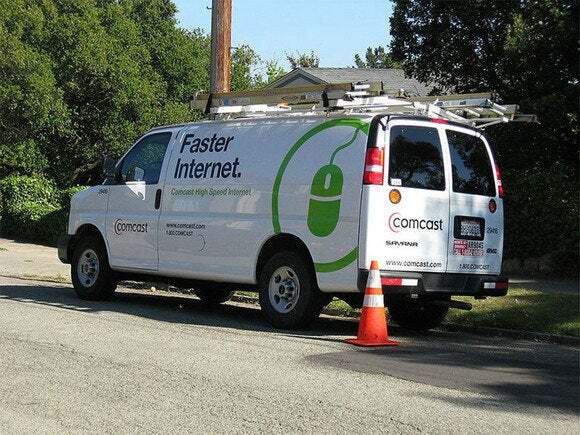 Comcast said bandwidth caps would be back before 2019, and now the company's living up to its promise. 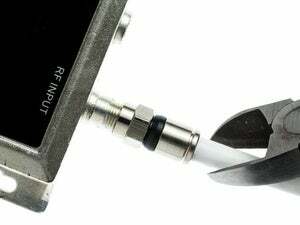 The cable provider recently announced that its 1 terabyte bandwidth cap for Xfinity Internet subscribers would start rolling out more broadly. Comcast’s data caps are currently in effect in 16 regions with another 18 regions getting the bandwidth cap on November 1. You'll find the complete list of current and upcoming bandwidth cap regions at the bottom of this post. The company settled on the 1TB cap limit after experimenting with various caps for several years in select areas. During that time, Comcast appeared to be favoring a 300GB cap, but never rolled it out nationwide. Then in April, Comcast bumped up the cap in its test markets to 1 terabyte. Comcast says only a small minority (less than one percent) of its customers actually use more than one terabyte in a given month. For now, then, the data cap shouldn’t be an issue for most people. One terabyte of usage is enough to stream 600 to 700 hours of HD video, play an online game for 500 days straight, or stream 15,000 hours of music, according to Comcast. 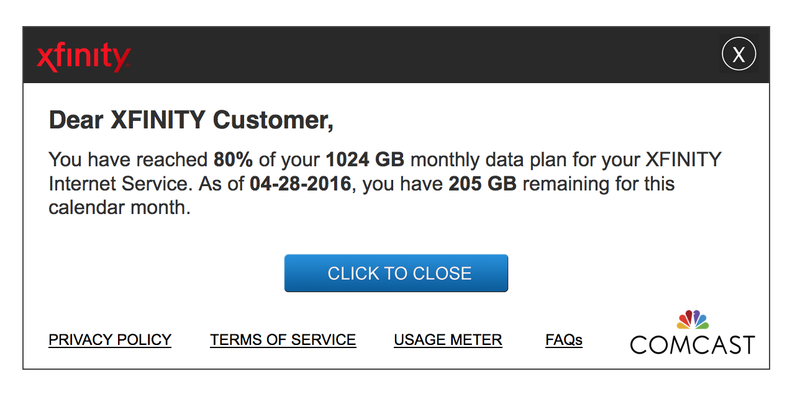 Anyone who wants to estimate their data usage can use Comcast’s online tool. Xfinity customers can also look at their actual data usage online by logging into their account. People who approach the limits of the 1TB cap will receive an “in-browser” notification like the one seen here warning of impending overages. If you actually go over the limit, Comcast won’t charge you any fees in the first two months of overages over a 12-month period. If there’s a third month or more, however, you’ll have to pay $10 per extra 50GB of usage, with an upper limit of an extra $200 per month. The story behind the story: While Comcast’s data caps may not be a big deal right now, that could change within a few years due to new technologies. Video streaming is morphing from 1080p HD to 4K streaming, which will require far more data—although the tech industry is working on more efficient compression for video streaming. In addition to streaming video, virtual reality for gaming and other uses may also drive up bandwidth requirements for the years to come. Whether that will push people over the 1TB limit is not yet clear, but it’s an issue to keep an eye on in the years ahead.